On Tuesday, February 9, 2016, President Obama released his Fiscal Year 2017 Budget – his final budget proposal as President of the United States. Having seen none of his 14 retirement account-related proposals from last year’s budget enacted, the President has included them all again in this year’s budget. In addition, this year’s budget features one additional significant retirement account-related change. As the futility of last year’s proposals shows, the President’s budget is really more of an agenda and a political statement than anything else, but it does give us keen insight into what the administration hopes to accomplish. And with President Obama’s administration quickly approaching “the bottom of the ninth,” you can be sure he’s going to swing for the fences before his time in office is up. Below you will find a complete list of the 15 provisions in the President’s budget that directly relate to retirement accounts. For each, you’ll see whether they are new or carryovers from previous years, a description of each, as well as some commentary to provide insight and perspective. I hope you find it helpful. Is this new? Yes. This is the single biggest new retirement account-related change in this year’s budget. The proposal – The Employee Retirement Income and Security Act (ERISA) would be amended to allow unaffiliated employers to adopt a defined contribution multi-employer plan that would be treated as a single plan for ERISA purposes. In order to participate in such a plan, the employer could not have maintained a qualified plan on their own within the past three years. Only regulated financial institutions would be allowed to be a provider of such plans, and they would have to be ERISA fiduciaries and serve as the plan administrator. Employers would still be responsible (read “liable”) for a variety of tasks, including selecting and monitoring an appropriate provider. Plans would establish certain requirements that would need to be adhered to by the provider, and companies would be allowed to cease participation in such a plan altogether, as well as move assets to another plan. Finally, the proposal would delegate a significant amount of authority to the Department of Labor and the Treasury Department to create rules and guidelines that would allow the proposal's successful implementation. This would include the application of the provision to plans in which the only participant is the business owner (and possibly their spouse), which are not technically covered under ERISA. The reason – Three words for you... Economies. Of. Scale. The whole purpose of this provision is to eliminate much of the complexities and drive down the costs associated with maintaining a retirement plan, particularly for small businesses. The administration's hope is that, if these barriers are reduced, more of these employers will be willing to adopt a plan. Comments – This proposal is actually a brilliant idea. It’s easy to foresee a few hiccups in the early years while such plans and their procedures are perfected – or at least improved – but the idea of pooling resources to decrease cost and complexity makes a ton of sense. It’s good for businesses, because a good retirement plan can be a great way to attract and retain talent for the long-term. And it’s great for employees, who may have increased options to save and who will no doubt benefit from economies of scale and cost efficiencies as well. This is actually one of those things that you wonder why no one thought of (or at least thought enough of to include in a budget proposal) before. Is this new? No. This was a massive surprise when it first appeared in last year’s budget, but it was almost a given that, after seeing no progress over the last year, the provision would rear its head again in this year’s budget. The proposal – NUA (net unrealized appreciation), one of the biggest tax breaks in the entire tax code for retirement accounts, would be eliminated if this proposal were to become law. A complete description of NUA is beyond the scope of this article, but suffice it to say NUA is a strategy that allows you to potentially trade the ordinary income tax rates you normally pay on retirement account distributions for long-term capital gains rates. To be eligible to use the provision, you must have appreciated stock of your employer (or former employer) inside your employer (or former)-sponsored retirement plan. By eliminating the special tax break for NUA, distributions of appreciated employer stock would be subject to ordinary income tax rates, just like the rest of your retirement account savings. Many employees, however, would be grandfathered into the old rules. Any plan participant 50 or older by the end of this year (2016) would still be eligible for the special NUA tax break, provided they meet the rules. Comments – Just a few generations ago people often stayed with one employer for their entire careers and investing in one’s employer was viewed overwhelmingly in a positive light. Today, on the other hand, it’s not uncommon for people to hold 10 or more “real” jobs over the course of their careers and our President appears to be doing his best to discourage people from investing in their employer. It’s funny how times change, isn’t it? Is this new? – No. This was a shocker when it was included last year, but with the cat out of the bag, just about everyone expected it to be included in this year’s version. The proposal – After-tax money held in your traditional IRA or employer-sponsored retirement plan would no longer be eligible for conversion to a Roth account. Comments – When this proposal first came out last year, it was a real surprise, especially since late in 2014, the IRS released guidance making Roth IRA conversions of after-tax money in employer-sponsored retirement plans easier and more favorable. It’s almost like the left hand had no idea what the right hand was doing. For years, many taxpayers that have been restricted from making contributions directly to Roth IRAs (because their income exceeded their applicable threshold) have instead, made contributions – often non-deductible (after-tax) – to traditional IRAs. Then, shortly thereafter, they have been converting those contributions to Roth IRAs. This two-step process, widely known as the back-door Roth IRA, would be all but eliminated by this provision. Perhaps the only bit of good news to come out of this provision is that for years some have questioned whether or not such conversions amounted to step transactions. While the administration has not explicitly said otherwise, it’s inclusion of this provision appears to be a tacit endorsement of that strategy. There is no reason to create a rule to stop something that is already forbidden. Is this provision likely to become law? If I had to guess, I’d say no, but it wouldn’t surprise me to see it happen at some point. Late last year, Congress passed a law eliminating two Social Security strategies the administration had been trying to get rid of for years. It all happened very fast and without little debate. The consensus of many was that including the change in the law gave the Obama administration something it could tout as a victory without upsetting a relatively large portion of the conservative population. Although I still think it’s more likely than not that this proposal goes nowhere, I can imagine a number of scenarios where it suffers a similar fate as the eliminated Social Security strategies. Is this new? – No. This is another carryover from the past several years. This year, like last year, the proposal is once again tucked away inside the same section of the Greenbook that discusses eliminating RMDs (required minimum distributions) for those with small retirement account balances. The proposal – In order to further “simplify” the RMD rules, the administration seeks to impose required minimum distributions for Roth IRAs in the same way they are imposed for other retirement accounts. In other words, this proposal would require you to take distributions from your Roth IRA once you turn age 70 ½ in the same way you would for your traditional IRA and other retirement accounts. If, however, you are already age 70 ½ at the end of this year (2016), you would be exempt from the changes that would be created by this proposal. Comments – As I stated last year, I find this to be an incredibly egregious proposal on the part of the administration, and perhaps the most egregious proposed change within the entire budget. The proposal touts the benefit of helping to “harmonize” the RMD rules for plan Roth accounts and Roth IRAs, but if the administration is that concerned about doing so, they should simply eliminate required minimum distributions for plan Roth accounts instead of going about it the other way. Countless individuals have made Roth IRA contributions and conversions over the last 18 years, and many of them have done so, in part, due to the fact that Roth IRAs have no required minimum distributions. To change the rules now, after people have already made these decisions, would be terribly unfair and would constitute a tremendous breach of the public’s trust. Is this new? – No. This provision is basically a carbon copy of proposals that have been included in several previous budget proposals. The Proposal - If you have $100,000 or less across your tax-favored retirement accounts, such as IRAs and 401(k)s, then you would be completely exempt from required minimum distributions. Defined benefit pensions paid in some form of a life annuity would be excluded from this calculation. If this provision were to become law, and you had $100,000 or less in your retirement accounts, you could take as much or as little from those accounts as you want during retirement, without fear of penalty. Required minimum distributions would phase in if your total cumulative balance across all retirement accounts is between $100,000 and $110,000. Those amounts would be indexed for inflation. The reason – The required minimum distribution rules were created to help make sure that retirement savings were actually used for retirement and not, as the budget proposal points out, as a way of transferring tax-favored wealth to future generations. That concern generally targets wealthy individuals who have accumulated enough in their retirement accounts and elsewhere that they can afford to take something less than their required minimum distribution – and would likely choose to do so if allowed. Comments – It’s really hard not to be a fan of this provision. There’s really no reason why someone with a 15,000, $20,000 or even $100,000 IRA should be forced to withdraw specified amounts from their retirement account each year. It simply creates complexity without any real benefit. In fact, the projected cost, in terms of lost tax revenue, by making this change, amounts to just $5 million for fiscal year 2017. I’d call that a drop in the bucket on budgetary scales, but it wouldn’t even be the size of a drop! Sure, some will argue that those with $200,000 in their retirement account should be exempt from required minimum distributions. Others will argue $300,000, and still others will argue the limit should be $1 million. In the end, the line has to be drawn somewhere and there will always be those on the other side. The only thing I can point to in this provision that I’m not a fan of is the phase out range. The required minimum distribution rules are hard enough without factoring in a phase out on top of it. Perhaps this would be one area where a phase out should be eliminated and replaced with a cliff. Those with $100,000 or less in their retirement accounts would have no required minimum distributions, while those with would have them. That would make the rule simpler, and in the end, the cost of compliance for those with between $100,000 and $110,000 in retirement account savings probably isn’t worth the benefit anyway. Is this new? – Nope. This proposal is old news already. The proposal - The maximum tax benefit (deduction or exclusion) you could receive for making a contribution to a retirement plan, like an IRA or 401(k), would be limited to 28%. Thus, if you are in the 28% ordinary income tax bracket or lower, you would be unaffected by this provision. However, if you are in a higher tax bracket, such as the 33%, 35%, or top 39.6% ordinary income tax bracket, you would not receive a full tax deduction (exclusion) for amounts contributed or deferred into a retirement plan. For example, suppose you had $500,000 of taxable income (lucky you!) and defer $10,000 into a 401(k). Without making that deferral, you’d owe tax at the highest rate, 39.6%. By making the deferral, however, you would pay no income tax at all on that $10,000 amount. If this proposal were to become law, that would no longer be the case. Instead of escaping ordinary income tax altogether, your $10,000 salary deferral would effectively be taxed at an 11.6% (39.6% - 28% = 11.6%) tax rate, since the maximum tax benefit of making the contribution would be 28%. This restriction would apply to other specified above-the-line deductions and income exclusions, as well as all itemized deductions. The reason – The spinsters were hard at work for this one. According to the administration, part of the reason for this proposal is to “help close the gap between the value of these tax expenditures for high-income Americans and the value for middle-class Americans.” Yes, it’s true that those in the highest tax bracket currently get a 39.6% income tax benefit by making deductible contributions to an IRA or salary deferrals to a 401(k) or similar plan, but that’s because if they don’t, they’re going to pay tax at a 39.6% rate! Those in a lower bracket, such as the 15% bracket, don’t get the same tax benefit by contributing to a retirement account, but they also won’t pay as much in tax if they forgo making a contribution either. Comments – This proposal hasn’t gone anywhere for years and that’s not likely to change anytime soon. This is a politically divisive aspect of the overall budget proposa,l and with Republicans in control of both the House and the Senate, you can be pretty sure this item is DOA. If this provision were to one day become law, it would create a terrible compliance burden for those in the highest tax brackets with respect to their retirement accounts. According to the Greenbook, if a tax benefit for a contribution to a retirement plan was limited by this proposal, it would create basis within a person’s retirement account. How would this work for employer plans? Don’t ask me! There’s no mechanism for an employer plan to determine how much of a salary deferral would become basis per this provision – and that’s something they certainly won’t be interested in taking on anyway. Presumably, the onus would be placed on retirement account owners, themselves, but that’s not much better. Even without this complication in the law, many IRA owners, who are already responsible for keeping track of their own basis fail to adequately do so on Form 8606. Is this new? – No. This is essentially a carbon copy of what was included in last year’s proposal. Even the cap has remained the same at $3.4 million. The proposal - This proposal would prevent you from making any new contributions to any tax-favored retirement accounts once you exceeded an established “cap.” The cap would be calculated by determining the lump-sum payment it would take to produce a joint and 100% survivor annuity of $210,000 per year, beginning when you turn age 62. Currently, this would cap retirement savings at approximately $3.4 million. The cap, however, would be a soft cap, as your total tax-favored retirement savings could exceed that amount, but only by way of earnings. Adjustments to account for cost-of-living increases would also apply. The reason - Of all the retirement provisions included in this year’s budget, this one is perhaps the most politically charged. It is clearly a proposal targeting the very wealthy and the administration pulls no punches in saying so. The administration states that establishing such a cap would still allow you to fund a “reasonable level of consumption in retirement.” Of course, while $210,000 per year is an awful lot of money to spend for an awful lot of the American public, people generally don’t like the government telling them what a reasonable amount of their own money to spend is. Comments – While I understand the administration’s reasoning behind this proposal, I’m not a big fan of it. I believe we should be inspiring people to save as much as possible for retirement, because as 2008 showed us, you never know when the next rainy day is going to come. Here’s the bigger question though, at least for me. What happens if someone is over their applicable limit, but would otherwise be eligible to receive employer contributions, such as profit-sharing contributions, to their retirement account? It would appear that, under the proposal, these amounts would be forfeited altogether. That would be a completely unjust outcome and would be something either Congress or the regulations would have to address. Is this new? – No. This was first introduced in last year’s Budget and has been carried over to this year’s version in essentially an identical manner. Proposal – A new 10% early distribution penalty exception would be created to help those with financial hardships due to being unemployed for long periods of time. The exception would apply to IRAs, as well as employer-sponsored retirement plans. In order to qualify, an individual would have to be unemployed for more than 26 weeks and receive unemployment compensation during that period (or less if due to State law). Furthermore, the distribution would have to occur in either the year the unemployment compensation was paid or the following year. Finally, the exception would be limited to certain amounts. All qualifying individuals would be eligible to use this exception for at least $10,000 of their eligible retirement account distributions. However, if half of their IRA balance or plan balance exceeded this amount, then that amount, up to $50,000, would be eligible for the exception per year. The reason – In general, if you’re employed, you are only eligible to receive unemployment compensation for a limited period of time. What happens after that, though, if you’re still unemployed? Although it’s best to avoid tapping retirement savings, the administration recognizes that “some long-term unemployed individuals may have no choice but to take distributions from an IRA or tax-qualified retirement plan to pay for basic necessities for themselves and their families.” If a person is, in fact, in such dire straits, it seems rather draconian to impose a 10% penalty on their retirement account distributions, in addition to any ordinary income tax they would already owe. Comments – For years taxpayers have been trying to claim an exemption to the 10% early distribution penalty for financial hardship. The problem though, is that such an exception, to date, does not exist. Despite this fact, many people have gone to Tax Court and fought, unsuccessfully, to eliminate the 10% early distribution penalty from their tax burden. While the Court has often sympathized with those taxpayers, their hands have been bound by the law, and they have been unable to provide relief. This provision, which seems pretty straightforward, would change that. It’s somewhat amazing that, with all the “garbage” that gets thrown into various laws, this provision has yet to be tacked on to some piece of legislation. No one likes to be looked at as kicking someone while they’re down. Who would really vote against this? Is it new? – Nope. This is another holdover from last year’s budget, save some date changes. Proposal – The overwhelming majority of non-spouse beneficiaries would be forced to empty their inherited retirement accounts by the end of the fifth year after the account owner’s death. In contrast, today such beneficiaries are generally able to extend distributions from their inherited retirement accounts over their life expectancy. To be very clear, this provision would effectively mark the death of the “stretch IRA,” and all the tax benefits that come along with it. The tax deferral provided by an inherited retirement account would be reduced, and distributions would generally be larger, potentially pushing beneficiaries into higher tax brackets and phasing them out of key deductions, credits and other benefits tied to their income. The provision would, however, exempt certain beneficiaries from this substantial reduction in the benefits provided by their inherited retirement account. Disabled beneficiaries, beneficiaries who are chronically ill and beneficiaries who are not more than 10 years younger than the deceased retirement account owner would still be able to stretch distributions over their life expectancy. Minor children would also be given a break, but would still be required to distribute their inherited retirement account no later than five years after they reach the age of majority. The proposal would not impact those who are already beneficiaries, but rather, only those who inherit in 2017 and beyond. Comments - If retirement accounts are really for retirement, then as much as you may not like this provision (I don’t either), it’s not an unreasonable position for the administration to take. Our government is broke and the stretch IRA, by providing tax benefits to individuals the accounts were never really intended to benefit, costs the government a lot of money. In fact, the budget proposal estimates that by implementing this change, it could collect almost an additional $5.5 billion dollars over the next decade. Personally, I have three significant reservations with the proposal, as written. First, the proposal is included under the section of the budget entitled “loophole closers.” I take some umbrage with this assertion. Those beneficiaries who are stretching distributions are not using any sort of gimmick or trickery to do so. They are following the law and regulations precisely as they were created and were intended to be followed. To claim otherwise casts those smart enough to maximize the value of their inherited accounts by stretching distributions in an unfairly negative light. Second, the proposal states that if an individual is not more than 10 years younger than the retirement account owner, they are exempt and can take distributions over their life expectancy. This could create a situation where, if a 32 year old retirement account owner died leaving their money to a 22 year old sibling, that beneficiary would be able to extend distributions for more than 60 years (just take my word on this one). In contrast, if the beneficiary were just one year younger at the time, 21 years old, he or she would be forced to distribute all of the inherited funds within five years. This makes no sense and seems both arbitrary and unfair. Finally, I question whether the provision would have the revenue-raising effect that the administration believes. Sure, some retirement account owners would continue to leave their assets in their retirement accounts, subjecting their beneficiaries to the five-year rule. Those that are using IRA assets as part of their legacy planning, however, would likely turn to other avenues. For instance, such a provision would likely lead to an uptick in the use of life insurance, which can generally be inherited by beneficiaries tax free. Other options would include naming a charitable trust as an IRA beneficiary, which could produce results similar to the stretch IRA, except instead of Uncle Sam getting a big chunk, it would be the charity. In either case, the revenue-raising impact would likely be dampened. Is this new? – Not at all. The same exact proposal has been included in the last several budget proposals, save a change in the effective date. The proposal – This one is very simple. Non-spouse beneficiaries would be allowed to move money from one inherited retirement account to another via a 60-day rollover, in a similar fashion to the way retirement account owners can move their own savings. The reason – Under current law, non-spouse beneficiaries are only able to move money from one inherited retirement account to another directly, either via direct rollover or trustee-to-trustee transfer. 60-day rollovers are not allowed. Even worse, if a beneficiary errantly takes a distribution from an inherited retirement account and tries to roll it over indirectly via a 60-day rollover (as they would be able to with their own account), the entire distribution is taxable and there is no way to fix it. Comments – This proposal has been included in the President’s budget for years now, and it’s somewhat a testament to Washington’s inability to accomplish just about anything constructive that it hasn’t yet been passed into law. There is absolutely no downside to including such a provision in the tax code, as the budget consequences would be “negligible.” This is a provision that should be supported by everyone in Congress, regardless of whether they are blue, red, or somewhere in between, because it would eliminate one of the most common, damaging and irreversible mistakes made with inherited retirement accounts. Even in an election year, where legislative progress is likely to slow to an absolute crawl, this should be something we can get done. While the budget proposal makes no such mention of this possibility, it would seem as though if this provision were to become law, that such rollovers would be subject to the “new” interpretation of the once-per-year rollover rule that has been in effect since 2015. Is this new? – No. This is another provision that was first introduced in President Obama’s 2016 Fiscal Year budget and has been carried over to this year. The Proposal – Retirement plans would be required to allow participation from workers who have worked at least 500 hours per year for three consecutive years with the sponsoring employer. Employees eligible to participate in a plan because of this provision would not be required to receive employer contributions, however, including employer matching contributions. In other words, this provision would only require qualifying employees to be able to contribute their own funds to their employer’s retirement plan. The reason – Under current law, part-time employees that work less than 1,000 hours each year can indefinitely be excluded from participating in an employer’s retirement plan. In its budget proposal, the administration postures that retirement savings could increase if more part-time employees were eligible to defer portions of their salary into an employer-sponsored retirement plan. Comments – While the goal of this provision – encouraging people to save more for their retirement – is certainly laudable, it’s hard to imagine employers getting behind it. If they wanted to cover these employees now, they could. Although they’re not required to do so, they certainly are not prohibited from doing so either. A lot of it comes down to expenses. Part-time employees often have lower plan balances, which as the budget proposal points out, “can be costly to administer relative to the size of the balance.” Although the proposal does take steps to mitigate this impact, it’s hard not to imagine additional costs being picked up by either other plan participants or the sponsoring employer itself. Is this new? – No. This first appeared in last year’s budget and has been carried over to this year’s budget. The proposal – The header here really tells it all. Simply put, this proposal would require companies to report any amounts they contribute to an employee’s defined contribution retirement plan (i.e., 401(k)) on the employee’s Form W-2. The reason – According to the administration, this additional reporting requirement would provide workers with “a better understanding of their overall retirement savings and compensation” and “would also facilitate compliance with the annual limits” for contributions. Comments - I don’t really see a great need for this additional reporting, and companies are bound to be against it if it increases their reporting burden in even the slightest way (which it does), but this provision is not likely to be the one that holds up any major bill in Congress. Would it be nice for an employee to see this information on the W-2? Sure, but it’s not that big of a deal. Is this new? – No. This provision is a carryover from last year’s Budget. The Proposal – Employers in business for at least two years that have more than ten employees would be required to offer an automatic IRA option to its employees if it doesn’t already offer another type of employer-sponsored retirement plan (i.e., 401(k), 403(b), SEP IRA). These automatic IRAs would be funded via payroll deductions. Employees would be provided a standard notice explaining the automatic IRA. They would be given the right to establish their own contribution rate or to opt out of contributions altogether, but in absence of any election, default contributions of 3% to a payroll deduction IRA would begin. Furthermore, “a low-cost, standard type of default investment and a handful of standard, low-cost alternatives would be prescribed by statute or regulation.” Employees would also be able to choose between allocating their salary deferrals to a traditional IRA or a Roth IRA, with the Roth option being the default. 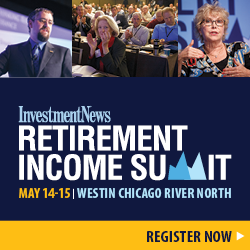 To offset some of the costs associated with establishing the automatic IRAs and to further encourage employers to offer more robust retirement savings options, the proposal would also expand existing tax credits, while establishing some new ones as well. Small employers with no more than 100 employees would be eligible to claim a non-refundable tax credit for expenses associated with establishing the automatic IRAs up to $1,000 for the first three years. These employers would also be eligible to receive an additional non-refundable credit of $25 per employee, up to $250 per year, for six years. The proposal would also expand the existing non-refundable “start-up costs” tax credit for small employers from its current maximum of $500 per year for three years to a maximum of $1,500 per year for four years. Finally, the budget calls for an auto-enrollment credit of $500 per year for up to three years. This credit would be eligible to be claimed by small businesses that establish new retirement plans that include auto-enrollment features, or by small businesses that incorporate such a feature into an existing plan. These credits are exactly the same as those proposed by the President in last year’s budget. The reason – There’s little argument that, as a country, we have a looming retirement crisis. Thousands of baby boomers are retiring each day, and many of them are doing so without having saved enough to sustain a reasonably acceptable standard of living throughout their retirement. Future generations’ retirement don’t look bright either. With that in mind, it’s no surprise that the Obama administration has made improving these dreary numbers a key objective. But why auto-enrollment? The simple answer is that auto-enrollment has significantly improved participation in employer-sponsored retirement plans, like 401(k)s. For instance, the budget proposal states that 401(k) plans with automatic enrollment boast participation rates in excess of 90%. In contrast, less than 10% of individuals without an employer-sponsored retirement plan, but who are eligible to contribute to an IRA, do so. While payroll-deduction IRAs currently exist, employers have not been quick in adopting them, to say the least. Even the budget proposal admits that “few employers have adopted them or are even aware that this option exists.” Since little progress has been made in this area on a voluntary basis, in an effort to help solve America’s saving problem, the administration seeks to make such IRA mandatory for many employers. Another interesting aspect of this proposal is that the default option for the automatic IRA is a Roth IRA. This could lead to some unintended consequences. Unlike traditional IRAs, which have no maximum income limits for contributions (though in some cases deductions may be limited), Roth IRA contributions are prohibited once a person exceeds their applicable income threshold. If a person has exceeded their applicable threshold and errantly makes Roth IRA contributions anyway, those contributions are subject to a 6% excess contribution penalty every year until the problem is corrected. To be sure, this provision is aimed at those with lower incomes, but there may be certain employees and small businesses making significant incomes. Or an employee with modest income could have a spouse who has high income, pushing the couple above their applicable Roth contribution income threshold. If that were the case, but 3% of the employee’s paycheck was sent to a Roth IRA per this provision, it’s possible that, without taking any action on their own, an employee’s own salary could be diverted to a retirement account they’re ineligible to contribute to, ultimately leading to penalties that the IRS has no authority to waive. That doesn’t seem fair. Is this new? – No. This is yet another proposal first introduced in last year’s budget and carried over to this year. The Proposal – If an employer-sponsored retirement plan decided to offer an annuity investment within the plan, but at some later point changed its mind and prohibited such an investment from being authorized to be held under the plan, plan participants would be eligible to roll over the annuity within their plan to an IRA or other retirement account via a direct rollover. This distribution would be allowed even if such a distribution would otherwise be prohibited. The reason – Under current law, access to funds accumulated inside your employer-sponsored retirement plan is generally limited if you are working and are under age 59 ½. If your employer allowed an annuity option within the plan, but that investment was later removed is an option from the plan, you could be forced to liquidate the annuity, incurring surrender charges or other penalties because you have no other option. This proposal would eliminate that possibility by giving you the flexibility to roll that annuity to another retirement account permitting it as an investment, regardless of your age, employment status, or other circumstances. Comments – In recent years the administration has taken numerous steps to increase annuity options within retirement accounts for savers. For instance, in 2014, the Department of Treasury issued guidance making the use of deferred annuities within target date funds offered by 401(k) plans more viable. In addition, the department also created a new type of retirement account annuity, qualifying longevity annuity contracts (QLACs), which can be excluded from a retirement account owner’s RMD calculations. This provision seems like the next logical step in that progression. Given that there is no requirement here for employers to offer annuity options, there would be no added expenses and the provision doesn’t seem to favor either the wealthy or the poor, it would seem that our lawmakers should be able to get together on this one. There’s really no downside, so make it happen. Is this new? – Nope. Another carryover. The proposal – In general, publicly traded companies would no longer be allowed to claim a deduction for dividends paid that are attributable to stock held in an ESOP (employee stock ownership plan). The reason – Companies are generally not allowed to take a deduction for dividends attributable to stock held within a retirement plan they sponsor, but there’s an exception to this rule for ESOPs. In the administration’s view, this dichotomy creates an “incentive for employers to encourage investment in employer stock through ESOPs.” This, the Greenbook goes on to say, can lead to a concentration of stock in one’s employer, which would subject them to retirement risk should there be poor corporate performance, which could, at the same time, impact job security. Comments – Publicly traded corporations (and their employees) may not like this one, but it makes sense as a matter of tax policy. There should be no additional tax incentive for a company to offer stock to its employees via an ESOP than there is to offer them the same stock via a 401(k) or other retirement plan.